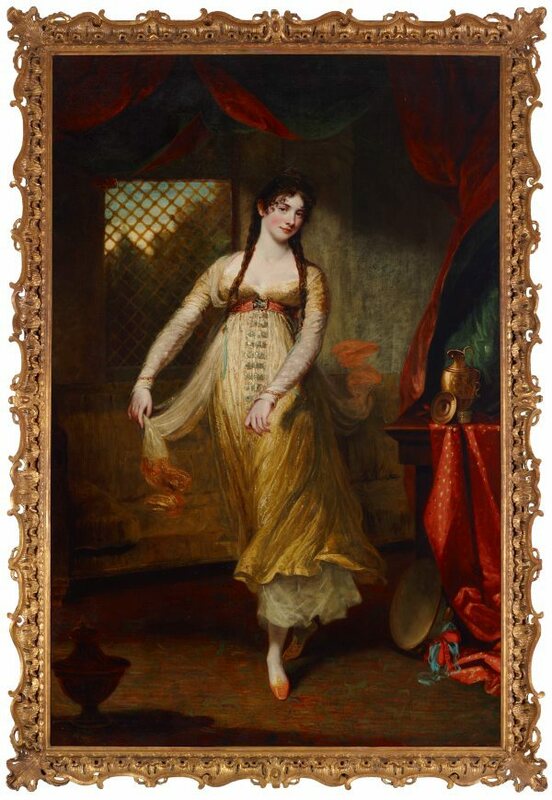 Marie-Louise Hilligsberg (c1765/70?–1804) was a French dancer whose performances dazzled the London public in the last decade of the 18th century. 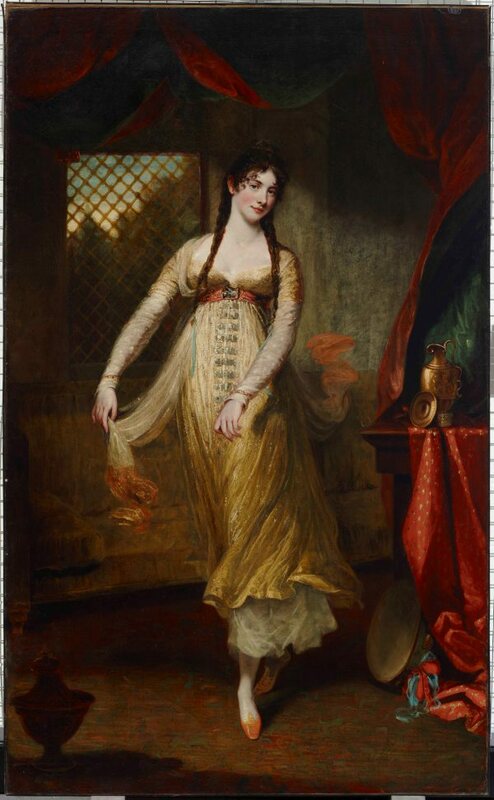 She trained in Paris with the great dancer and choreographer Gaëtan Vestris and first came to London in 1787. 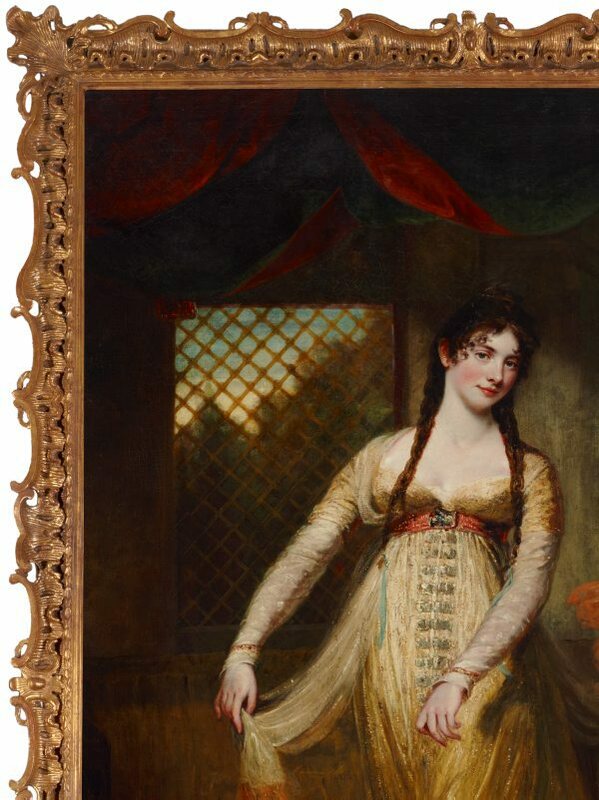 She joined the King’s Theatre making her first appearance in Dec 1787 in Noverre’s ballet ‘Les offrandes à l’amour’. Hilligsberg was primarily associated with the King’s Theatre though she also performed at the Pantheon and occasionally at Covent Garden and Drury Lane. After the 1802–03 season she moved with her husband to France and began to style herself the comtesse de Beaumont. However, her retirement was brief. She died in January 1804 probably, it was thought, as a consequence of the ‘extreme exertion which she had invariably used in her profession’. North Carolina Museum of Art, 1952-16 Nov 1990, Raleigh/North Carolina/United States of America, Deaccessioned 1990. Sold Christie’s, London, 16 Nov 1990, no 15. A biographical dictionary of actors, actresses, musicians, dancers, managers & other stage personnel in London, 1660-1800 , Carbondale, 1973-1993, vol 7, 1982: 322. Look , ‘“New” old masters: an enriching gift for the Gallery’s collection’, pg. 18–19, Sydney, Nov 2010, 19 (colour illus.). Athenaeum , ‘Fine Art Gossip’, London, 29 Jul 1871, 152. Fair women in painting and poetry , London, 1894, 59, (illus) opp p 59. Glasgow Herald , ‘Our London correspondence’, pg.7, Glasgow, 12 Dec 1894, 7. Sunday Times , ‘Art and artists’, pg.5, London, 16 Dec 1894, 5. Daily Telegraph , ‘Minor exhibitions’, pg.8, London, 21 Dec 1894, 8. John Hoppner, RA , London, 1909-1914, vol 1, 1909: 121.